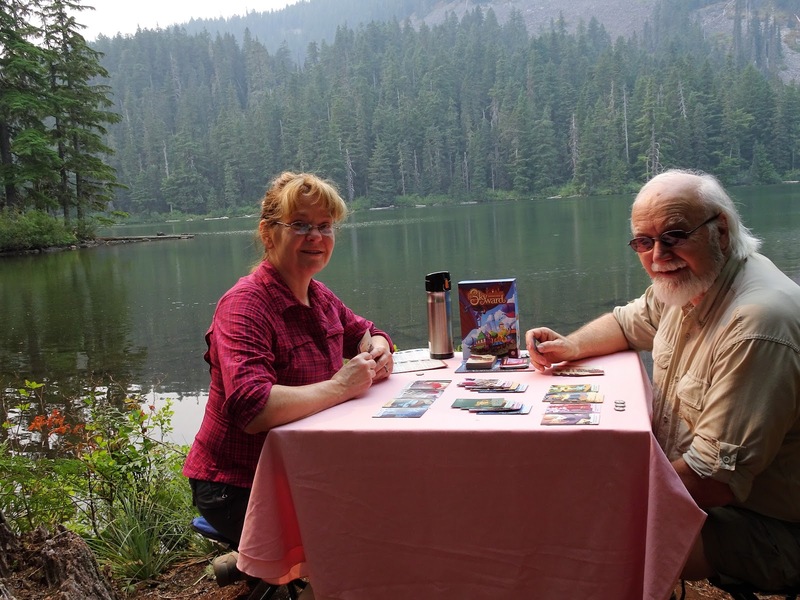 Shellrock Lake in the Roaring River Wilderness seemed like a good spot to chill out and to play our next game to go "Off The Charts". Skyward is a clever and unique strategy card drafting game set in an airborne city. 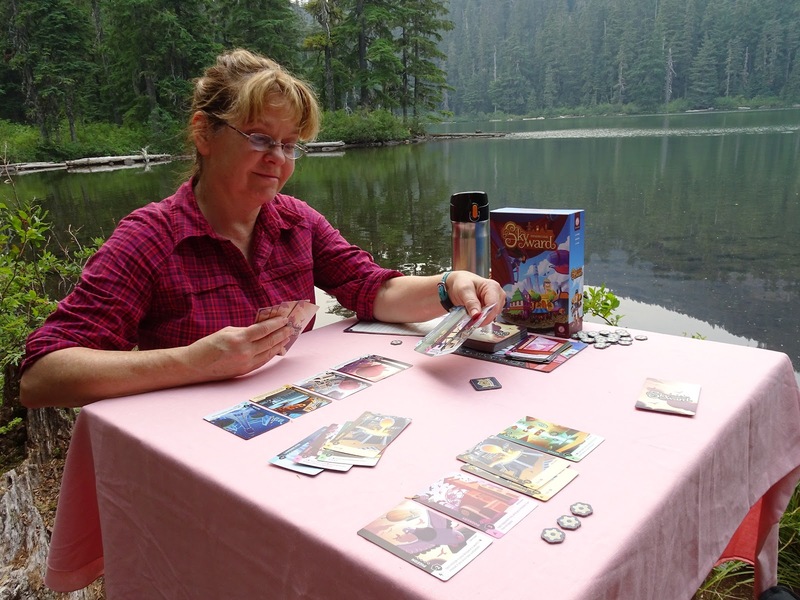 The game is all about the card split and the selection of which stack to take. Each faction has cards with strong abilities. The key is to quickly build a powerful combination. I decided to use the Makers faction as the centerpiece of my strategy. Several turns later I got a hold of the Nexus card that once launched would nicely enhance what I was trying to do. Meanwhile, Lynn launched both the Beacon and the Landing Pad from the Seers faction to eek out a point victory. To learn more about Skyward click here on Game Profile: Skyward. 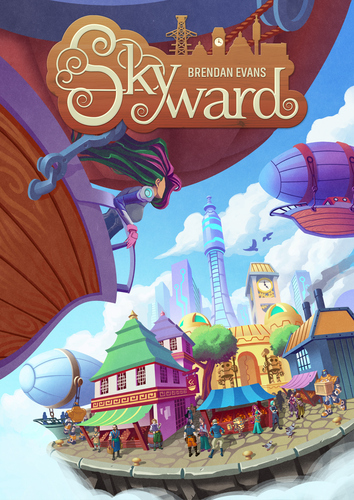 Additionally, Skyward is available in our Demo Games Library for you to come in and play.